Bar Table: 39 Inches Square, 41.5 Inches High. 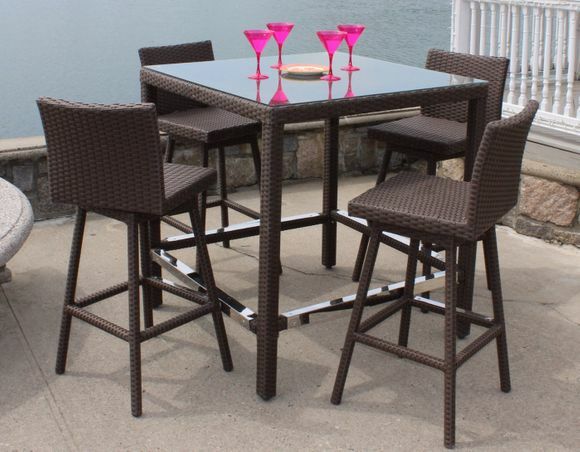 Our Sonoma wicker swivel bar set will have you enjoying your favorite cocktails with your friends in your outdoor living space! Each barstool swivels with ease and is easy to hop on. The bar table is just the right height and spacious for many drinks and appetizers. Available January 2018.